Love sweets – but worried about the quality of ingredients used at the neighbourhood sweet shop. Hunting for the authentic “Boondi Laddu” that you had at a marriage in Chennai. You hunt ends at Iyer Sweets – Bangalore. 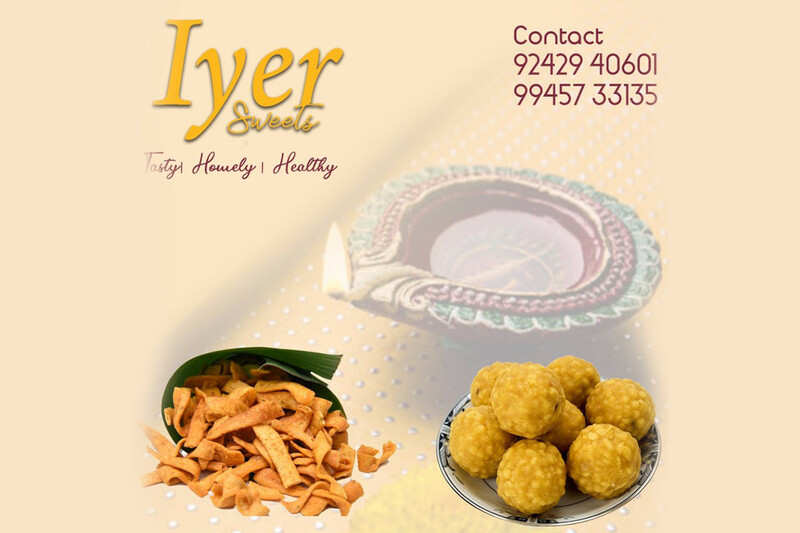 Iyer Sweets brings you home made Sweets and Savouries – Using quality ingredients and made hygienically at home by an experienced Palghat Iyer couple. All of this priced reasonably. We prepare items freshly for each order and don’t keep stock. Please place orders 10 days in advance for Diwali/Dushera and 5 days in advance for Non Festive season.